I was disappointed when I went to the new Sephora outlet in KLCC and still couldn't get my hands on the NYX Soft Matte Lip Cream in Stockholm because they are always sold out, until I found this baby at Guardian. Matte lipsticks are so in right now, and I am all about it. I just find myself look a lot more put together when having lipsticks with matte finish on rather than glossy ones. So I am so happy when I saw these new lip creams carried by Silkygirl because we all know that their products are very affordable for the quality. 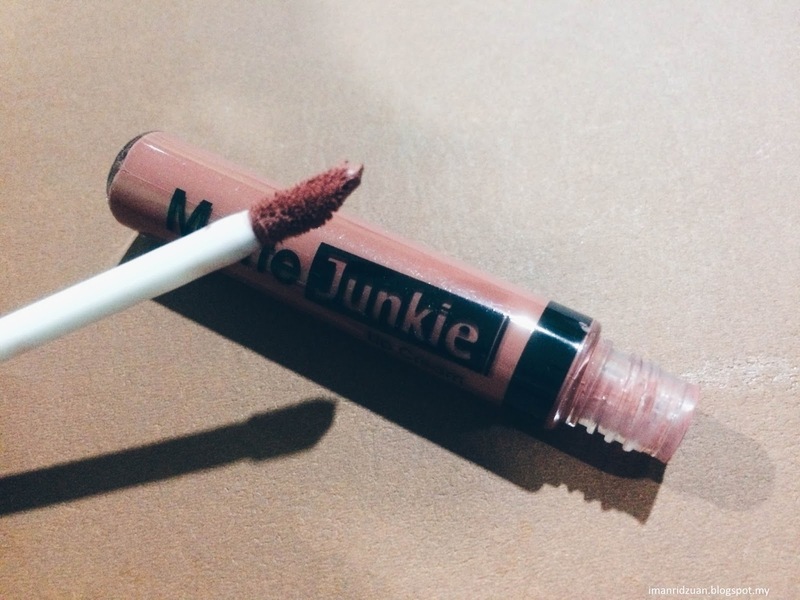 The Matte Junkie Lip Cream comes in 5 shades ; Retro, Glamour, Rebel, Vintage and Vixen. I got one in Retro because I need a new lipstick that is not red. I've got too much red already it is time for me try something new lol. It comes with the doe foot applicator that dispense just the right amount of product for both of my top and bottom lips. Easy breezy application, that's all what I have to say about it. As you can see from the swatch on my hand above, the color pay off is AMAZING! Very pigmented with full coverage on the lips. 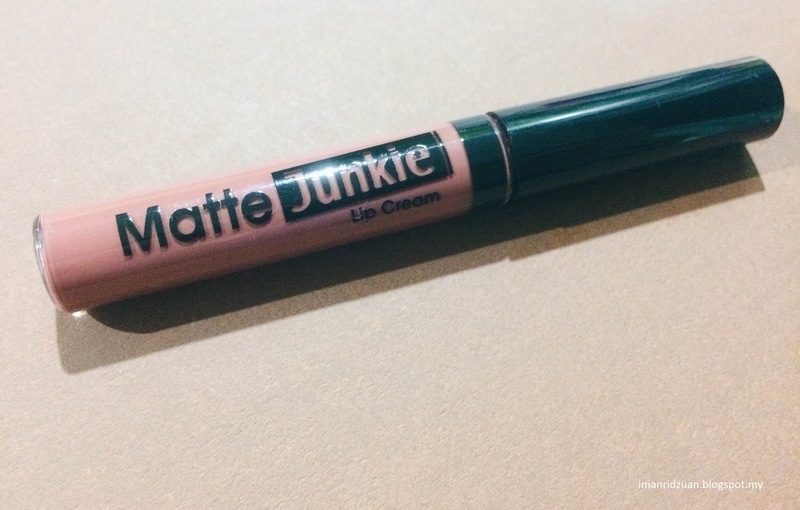 And the color is absolutely beautiful too, it looks a little pinkish once it is set, but actually its more on the orange tint when applied on the lips, just like in the picture where it is freshly applied. It only took seconds to set and becomes matte and after that, it wont budge or even move. It is very long lasting on the lips as well. I had Nasi Ayam as lunch with chocolate ice cream as dessert, and most of the lip cream still stay put without giving any weird blotchy patches or anything. I'm still good to go without reapplying the lip cream if I don't want to. Like any other lip creams, you do need to make sure that your lips are well moisturized before you apply this lip creams. I find that it is not as drying as NYX's SMLC, but obviously it will not look good if you start off with a dried lips. And here am I, not having to worry about my lips while having this delicious waffle by Madame Waffle. Even my Biore water based make up remover needs to take its time to dissolve the lip cream. You can get this lip cream at Guardian for RM21 or cheaper during sales. I got mine for 18.90 during Labour Day Promotion.Will definitely get out and buy the other colors after this. (Still wondering why Watsons don't carry in this amazing lip creams though) Update : Watsons already starts selling these babies and they are selling fast! So if you encountered one do not hesitate. Just grab it because dia macam pisang goreng panas okay! Hey may i know what colour is this? Hmmm jenuh la tunggu sephora nak restock. Ok btw thank you. I know right! Kawan kawan i pun jenuh mencari sampai satu mall tu semua pharmacy pergi tapi semua sold out, haih XD You're welcome, thank you for reading!